What are the aims of sociology? What are its objects of study? How relevant is the classical tradition to the practice of sociology today? This volume brings together internationally renowned and new scholars to consider the changing relationship between contemporary and classical sociology. Arguing that recent historical and theoretical developments make reconsideration timely, it suggests that whilst the classical tradition has a continuing pertinence, it is inevitably subject to ongoing reconfiguration. 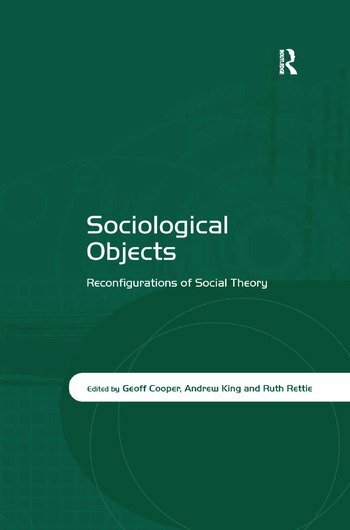 Assessing the explanatory value of classical and contemporary forms of sociology, interrogating social theory as both a form of explanation and a mode of practice, and considering the possible consequences for the discipline of questions about its subject matter, Sociological Objects steers a course between assertions about radical epistemological breaks on the one hand, and reverence for the classical tradition on the other. Rather, it emphasizes the value of reworking, reconsidering and reconfiguring sociological thought. Geoff Cooper is Reader in Sociology at the University of Surrey, UK. His research interests are in science and technology studies and sociological theory. He has published work on reflexivity, theory, research cultures, and social aspects of mobile telecommunications. Andrew King is Lecturer in Sociology at Kingston University, UK. His main areas of interest are in ethnomethodology and conversation analysis, and his research is concerned with the application of these approaches to the study of young adulthood. Ruth Rettie is Senior Lecturer in Internet Marketing at Kingston University, UK and Associate Lecturer at the University of Surrey. She has published many papers in the field of Management.